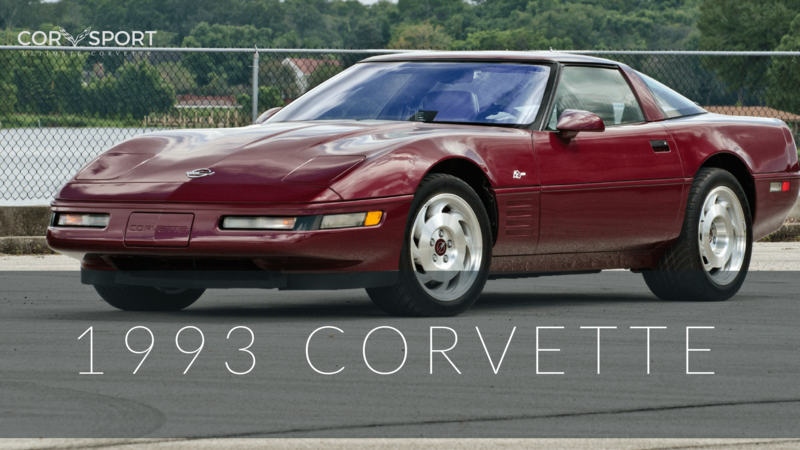 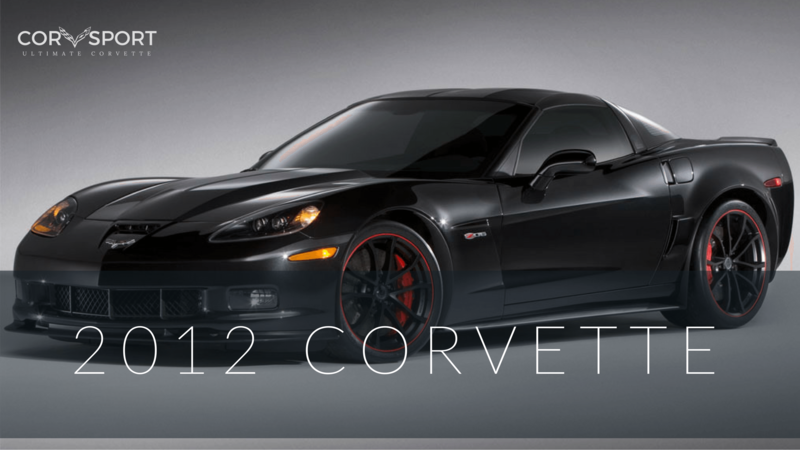 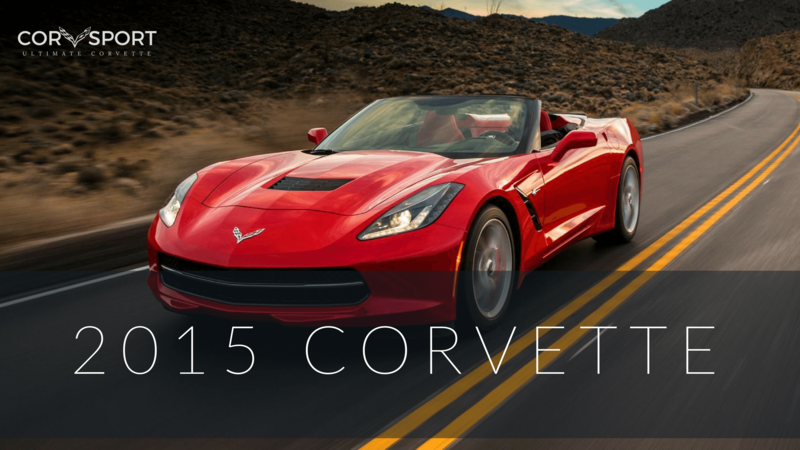 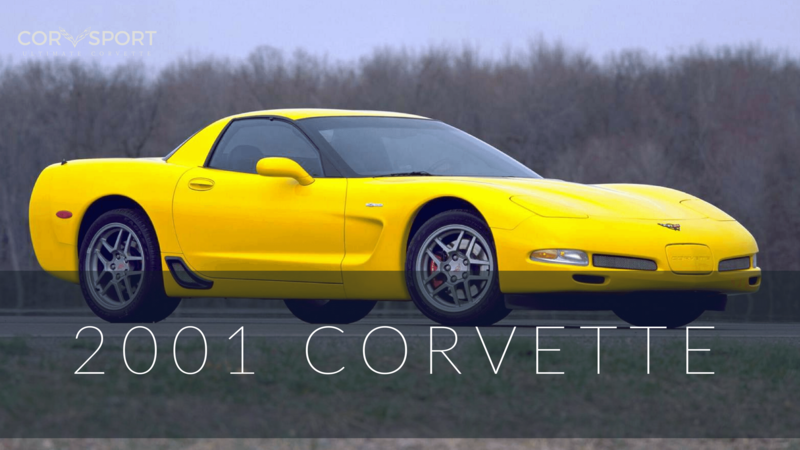 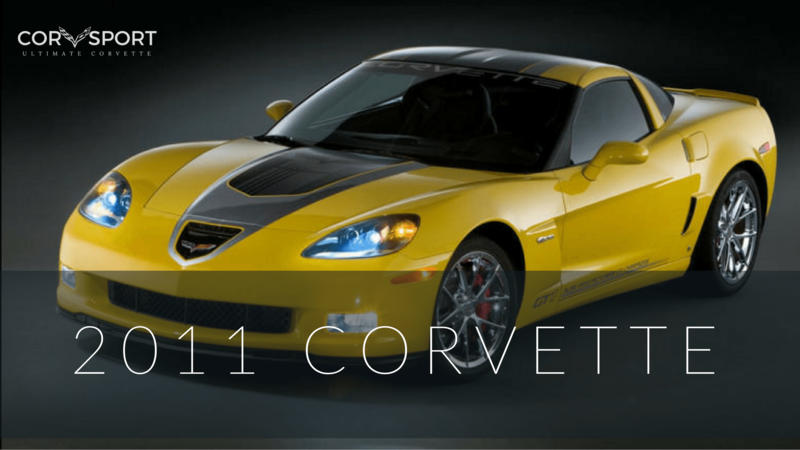 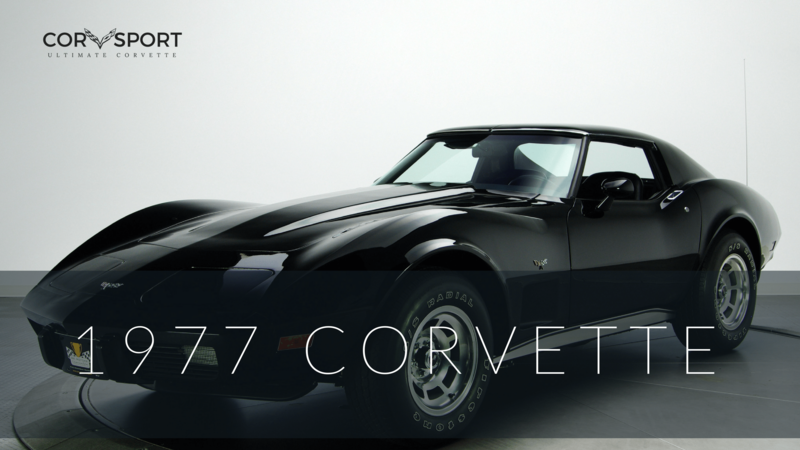 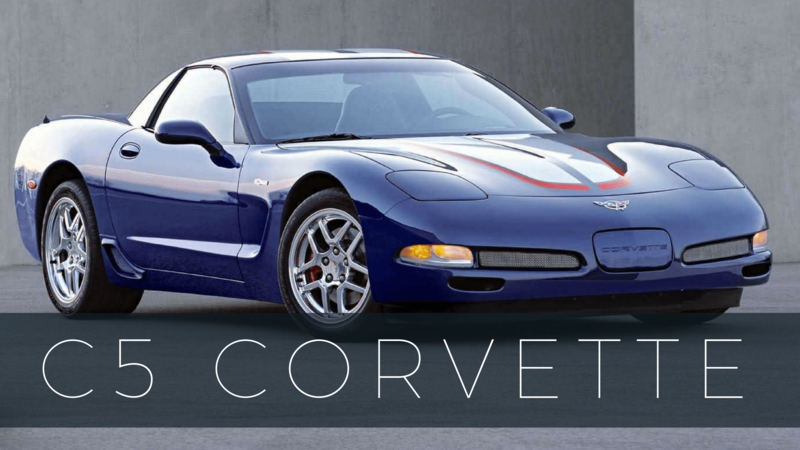 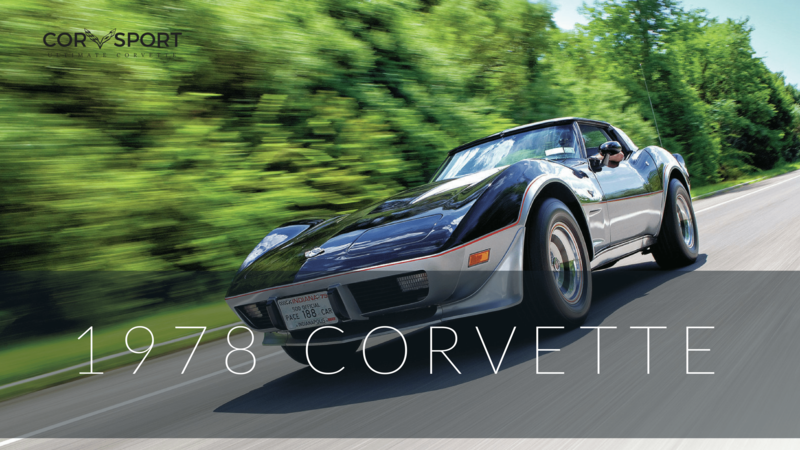 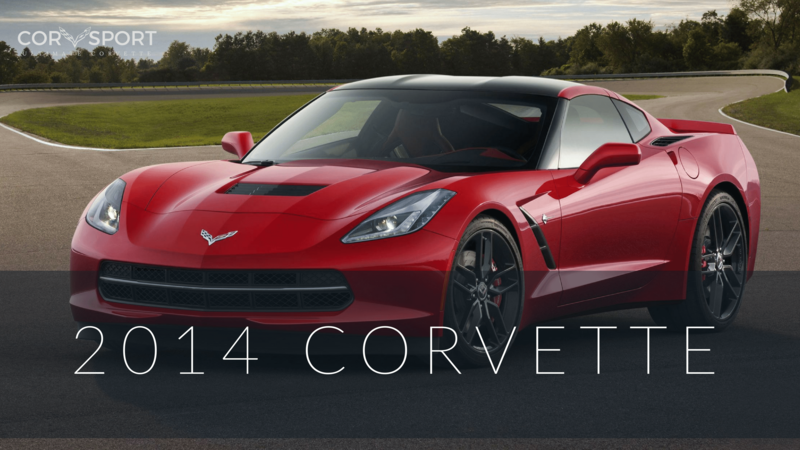 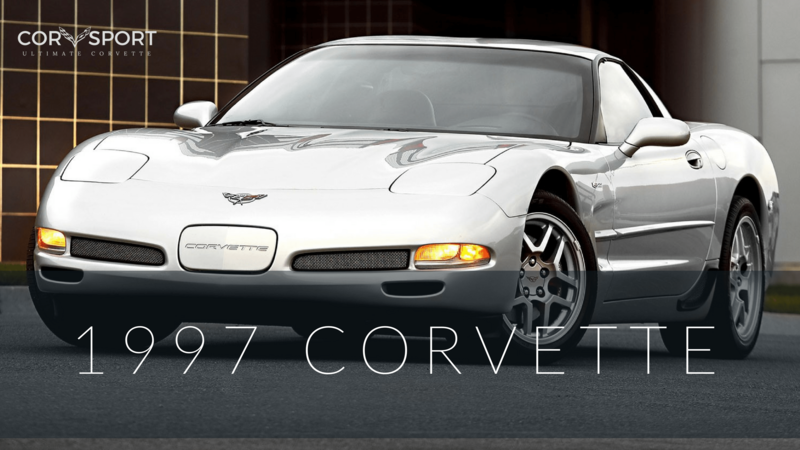 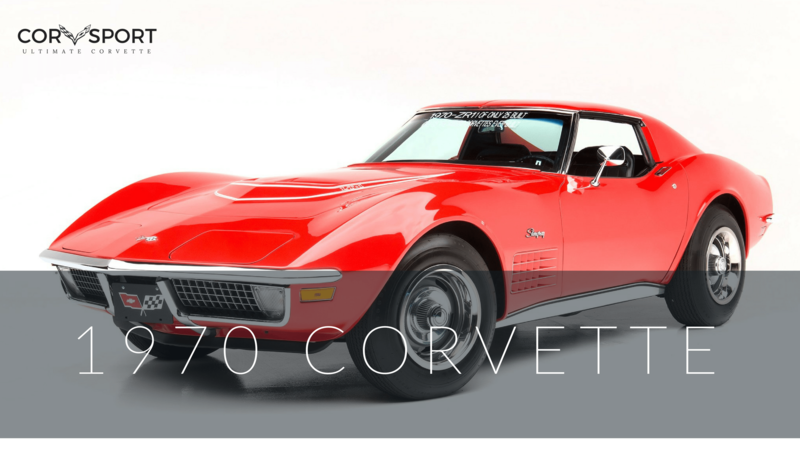 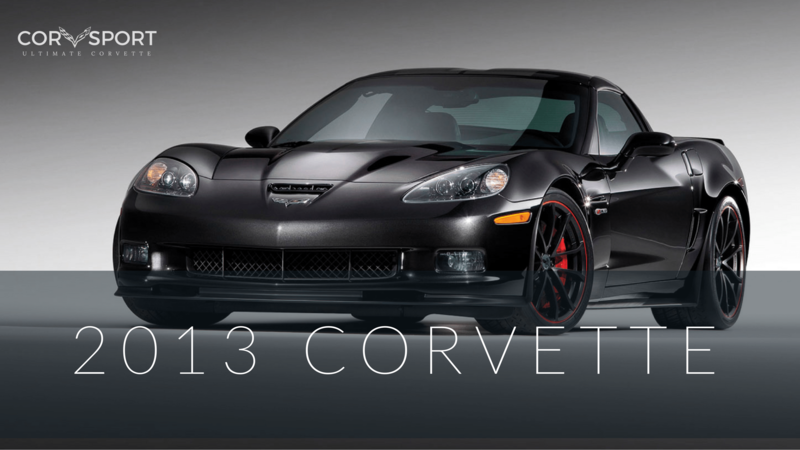 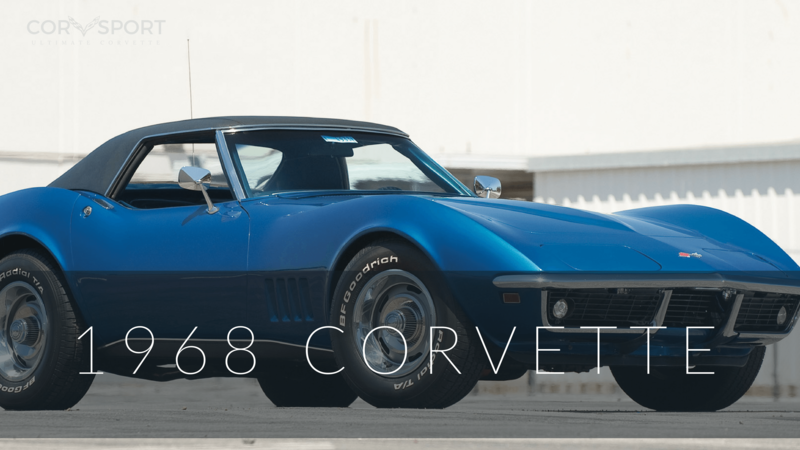 From the C1 to the current generation Corvette, the American high-performance icon has seen a lot. 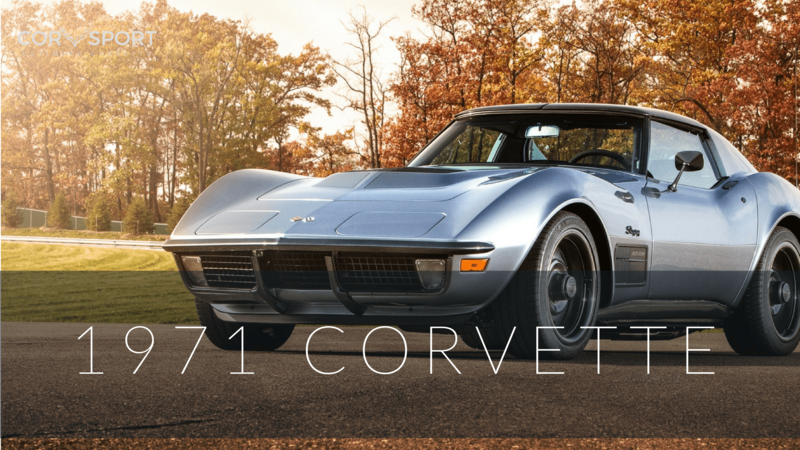 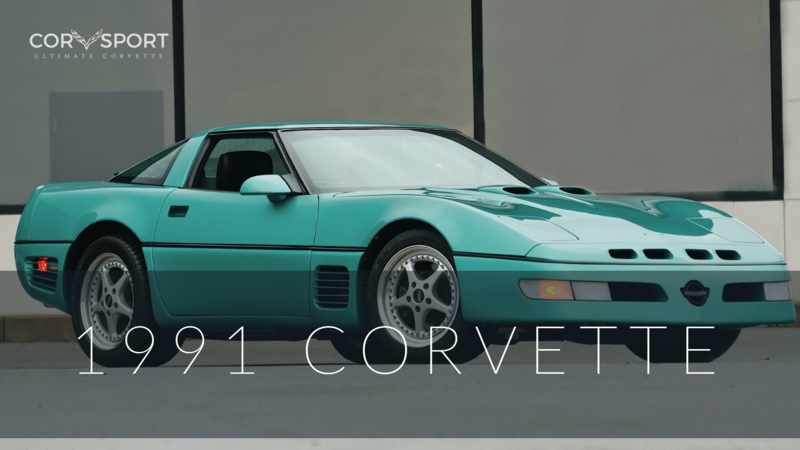 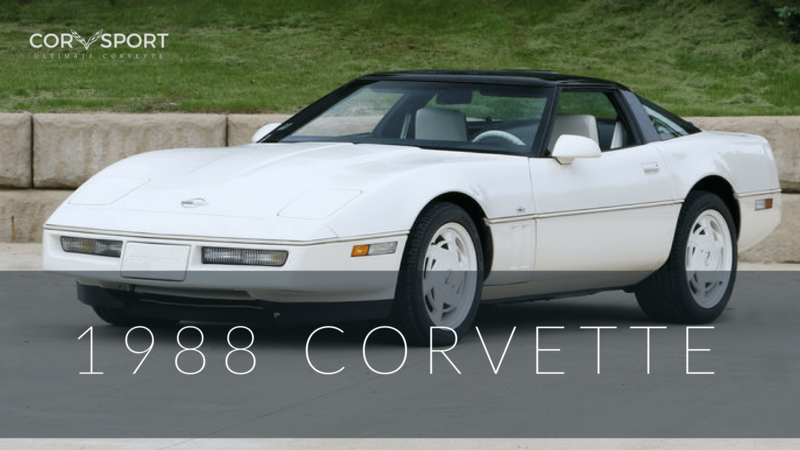 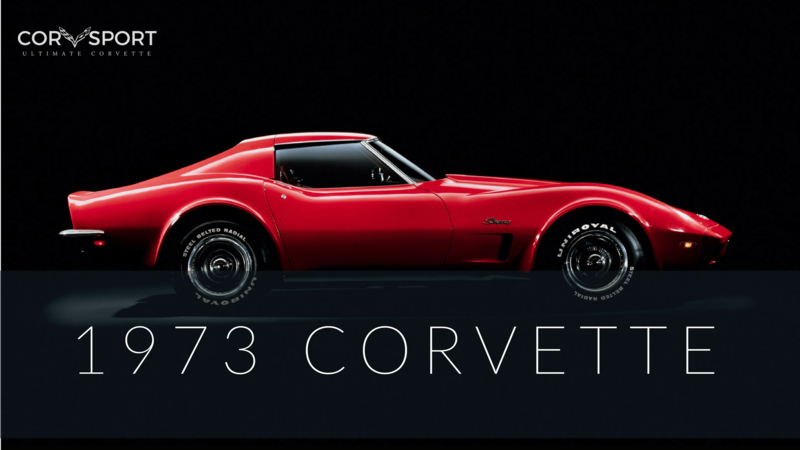 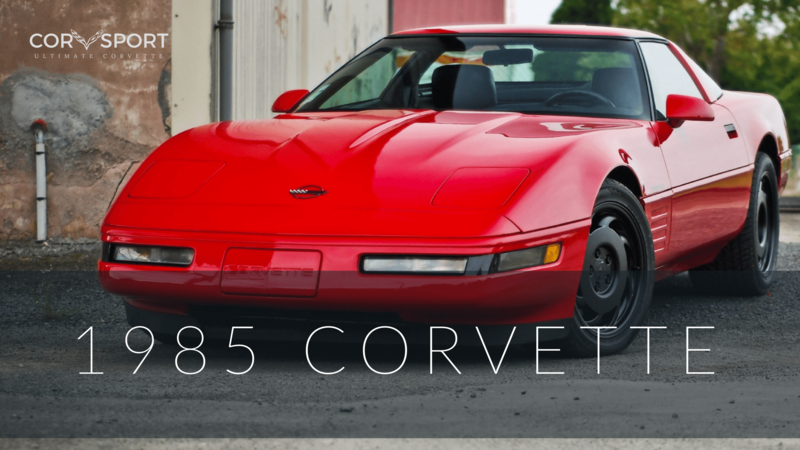 Here’s every Corvette ever produced, sorted by year. 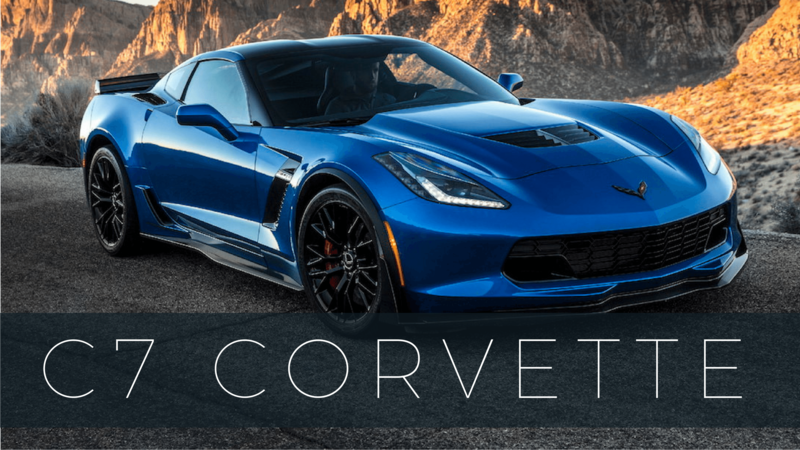 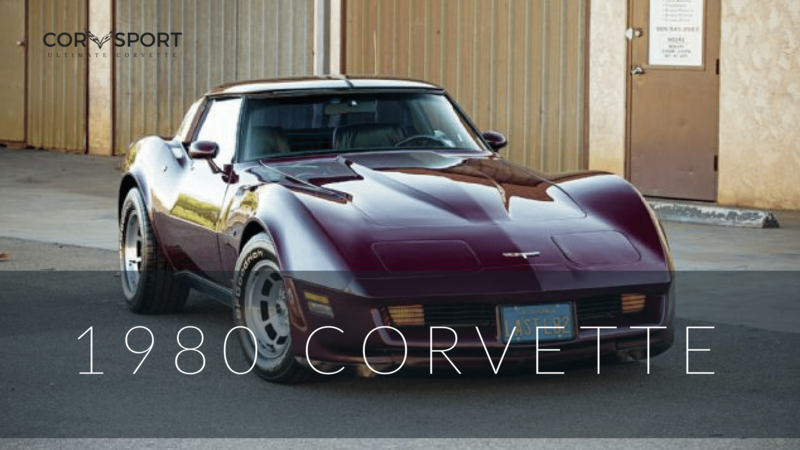 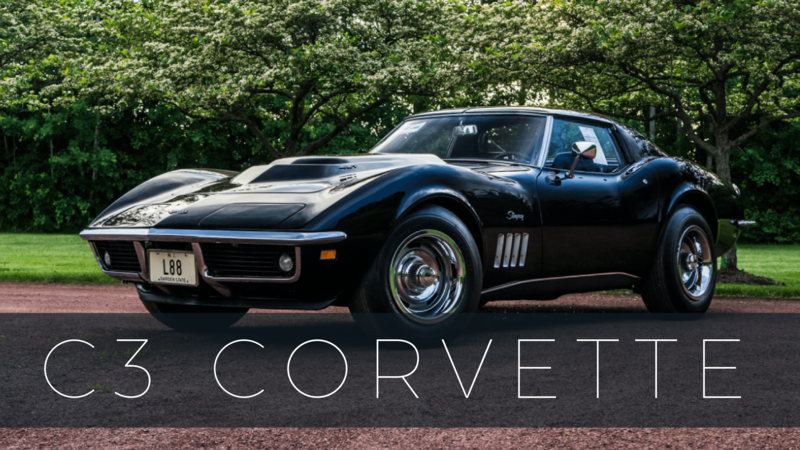 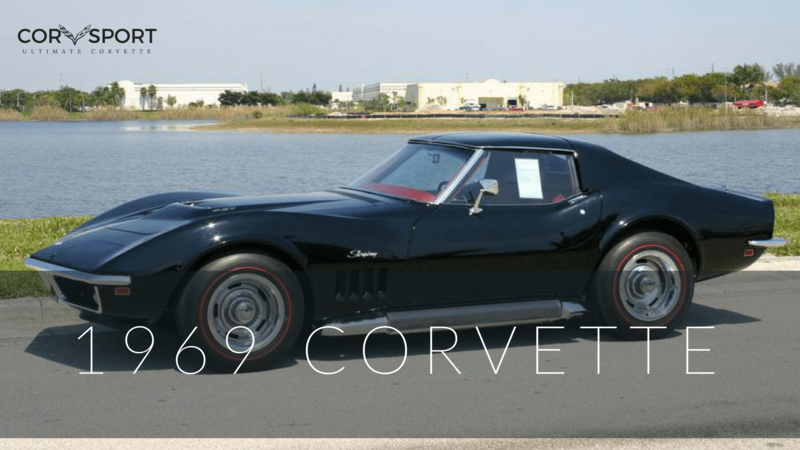 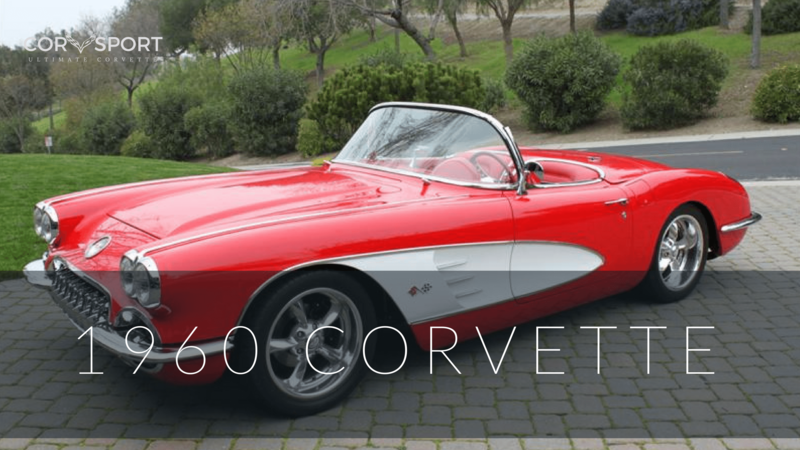 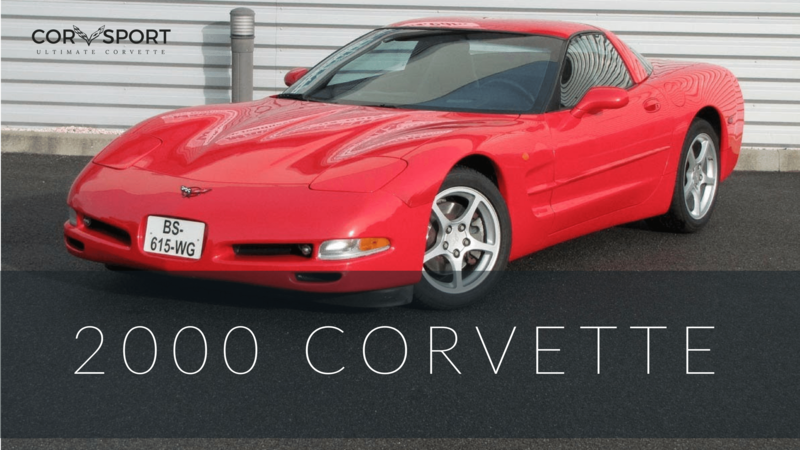 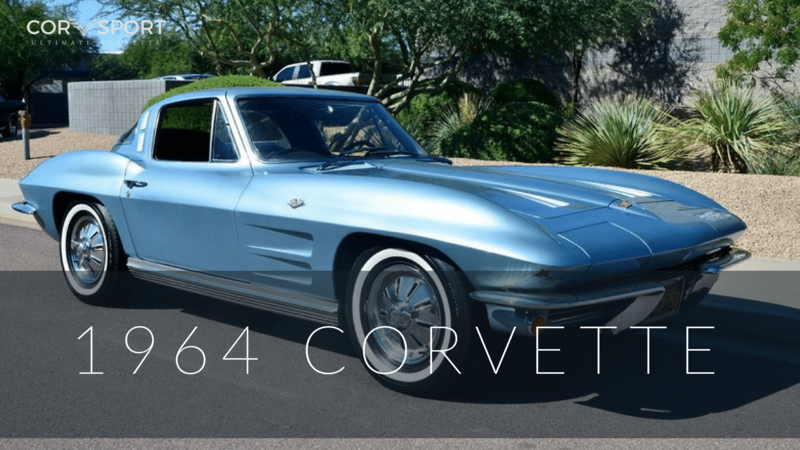 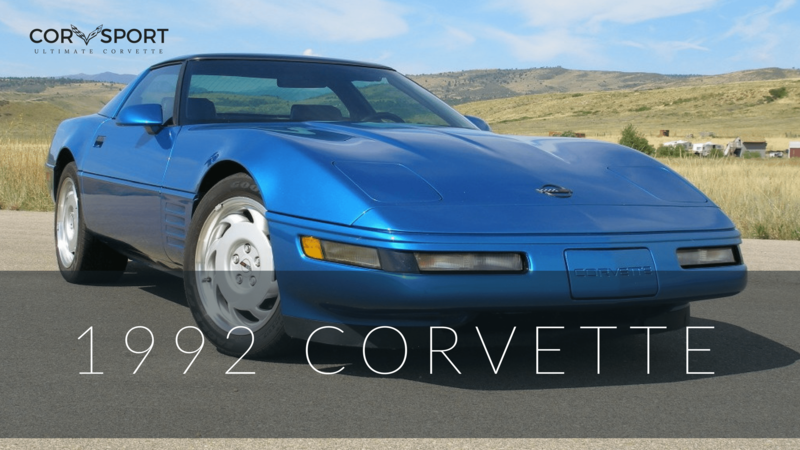 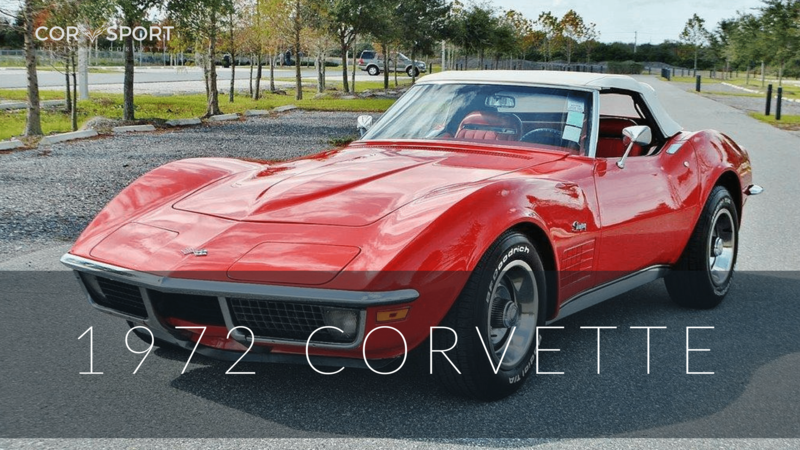 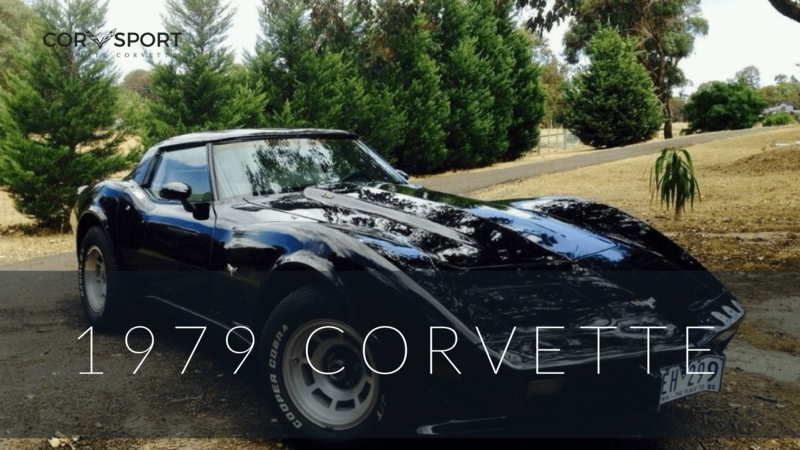 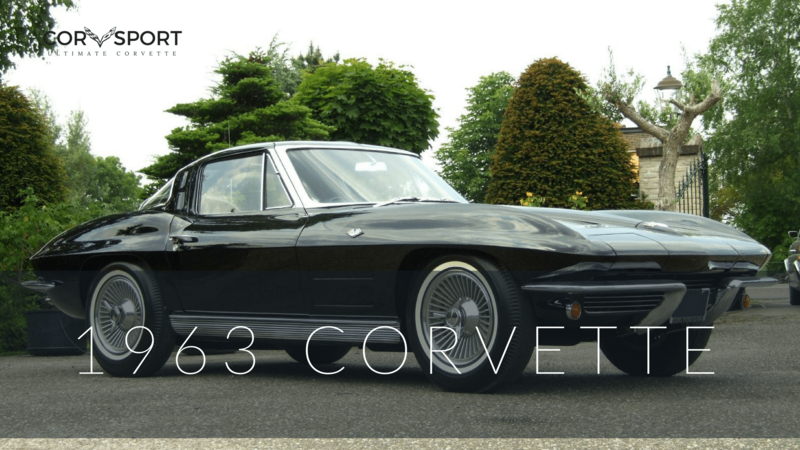 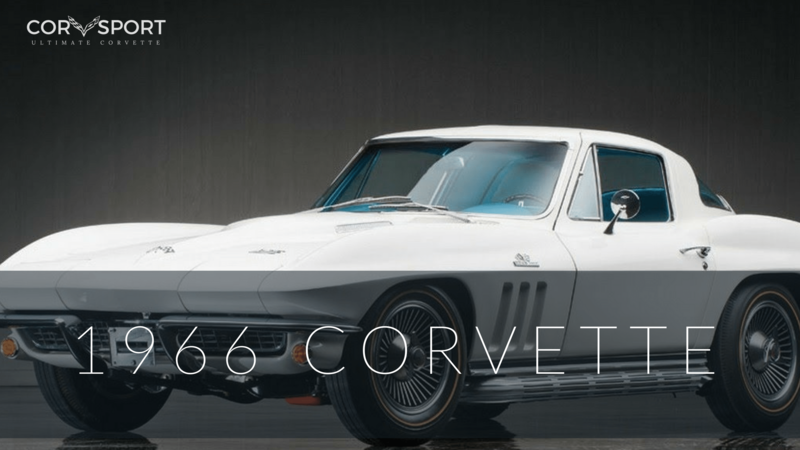 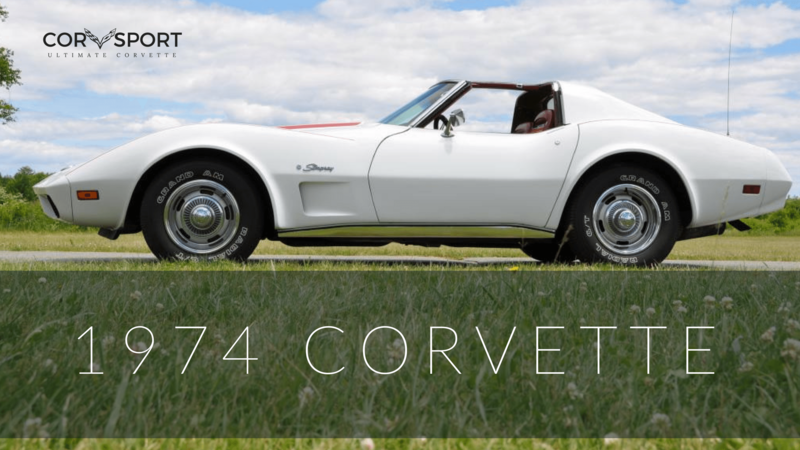 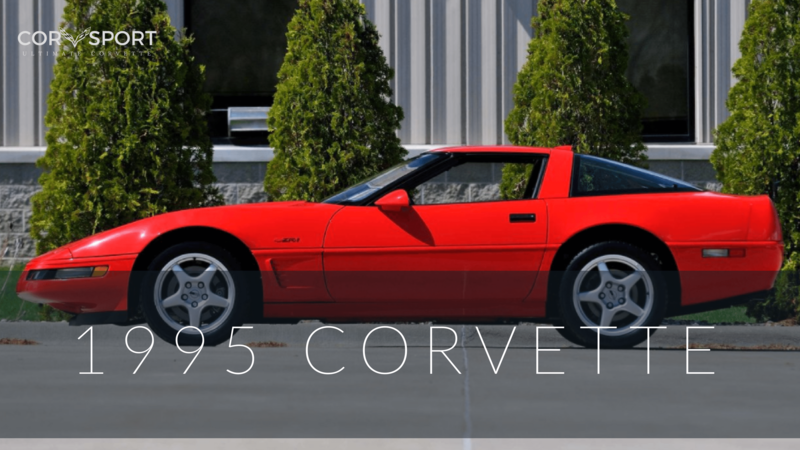 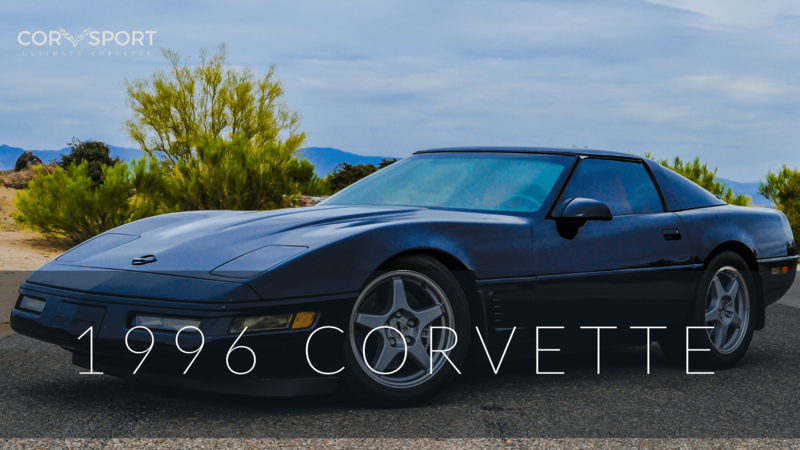 There have been many Corvettes since 1953 including numerous concepts, special editions, race series custom cars and tuner Corvettes (that we’ve covered in other parts of the site). 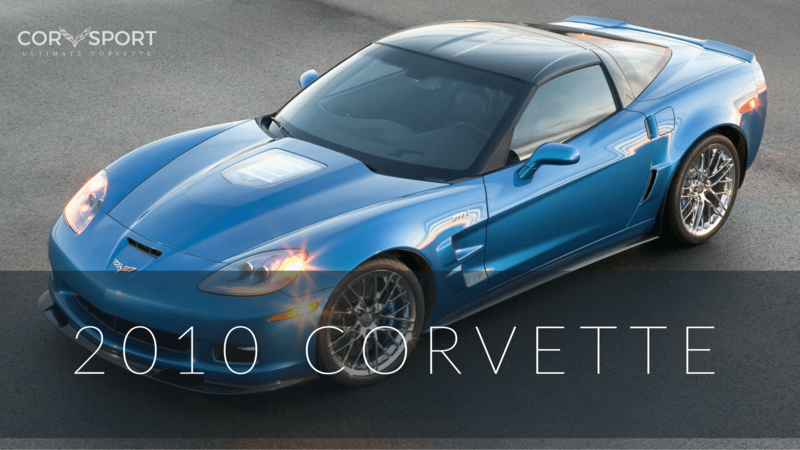 This list below is focused on regular production series Corvettes. 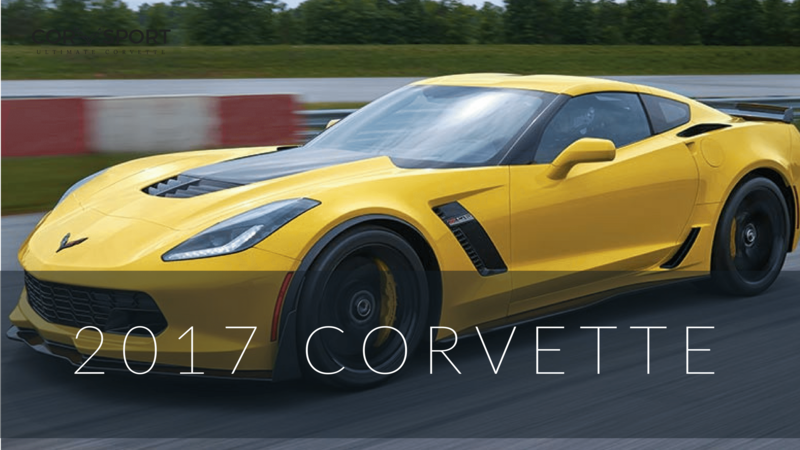 For more details on each model year specifically, check out our guides below where you can quickly navigate to each model year where you can learn about each years history, factory specs, VIN Info, problems, recalls, dimensions, performance and much more. 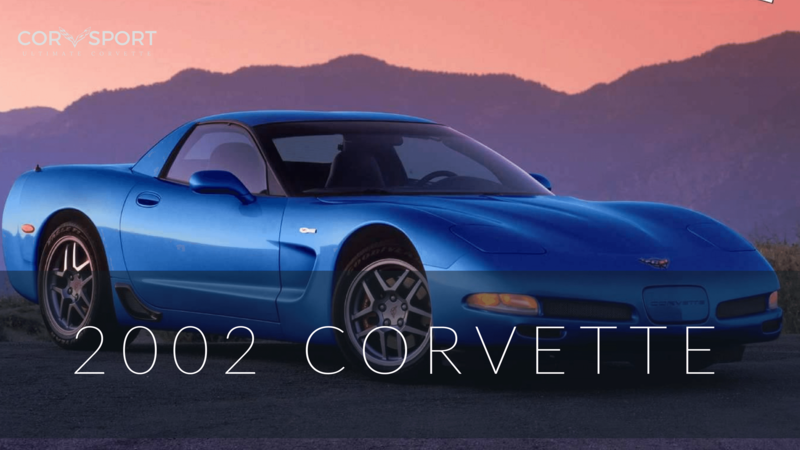 The birth and evolution of the C2 Corvette occurred amidst the successes that General Motors was experiencing at the height of the C1. 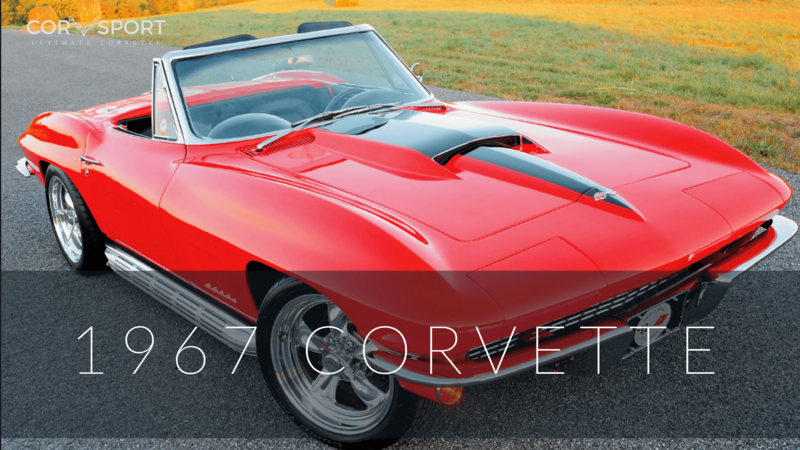 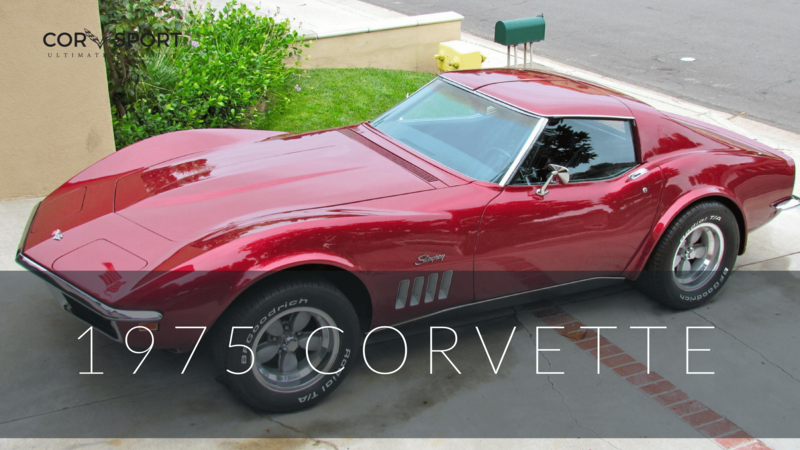 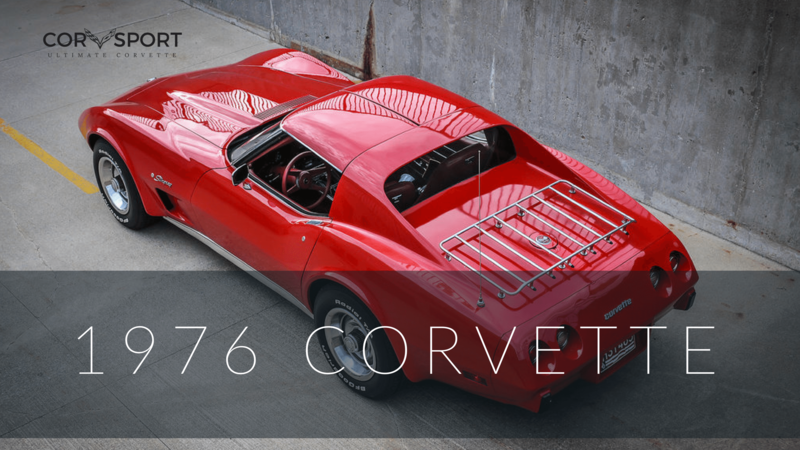 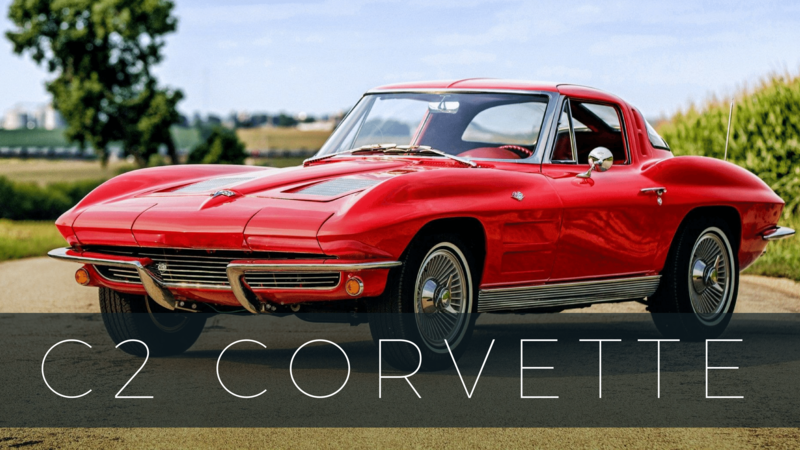 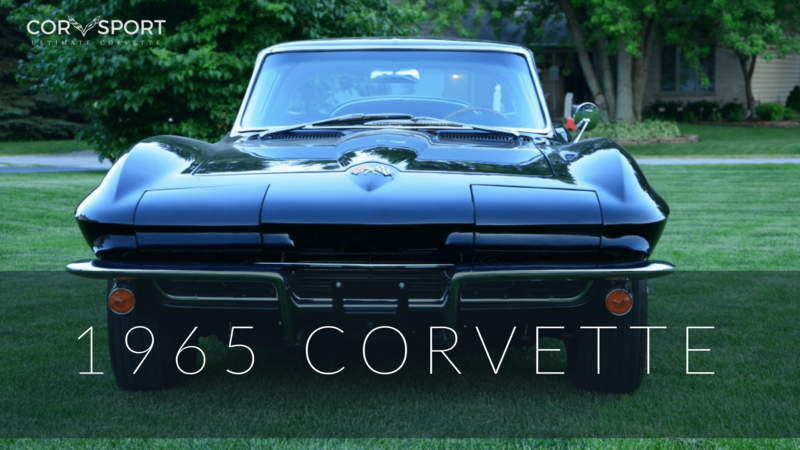 By the early sixties, as Chevrolet introduced the last of the first generation Corvettes, there was no doubt – at least among the design team behind the first-generation model – that a second generation Corvette was imminent. 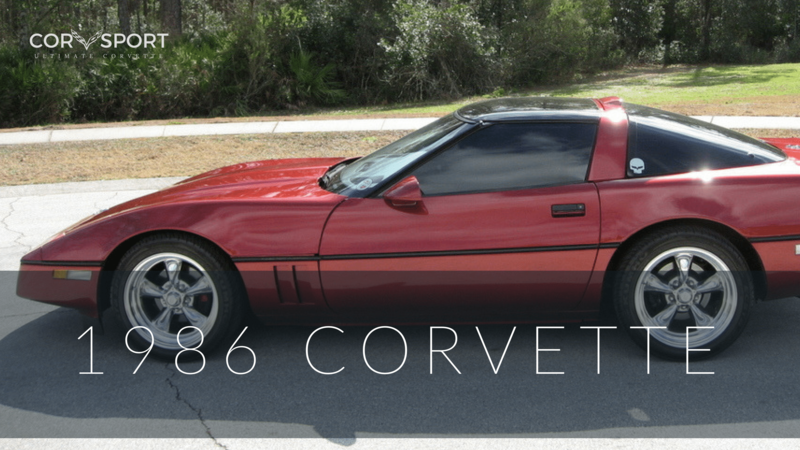 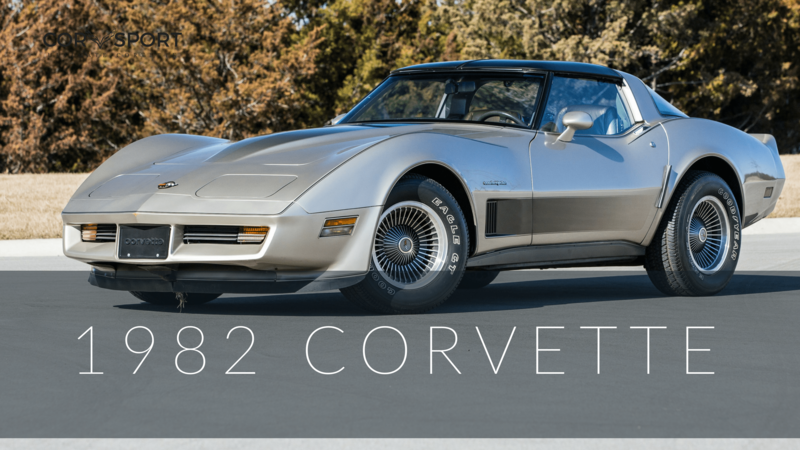 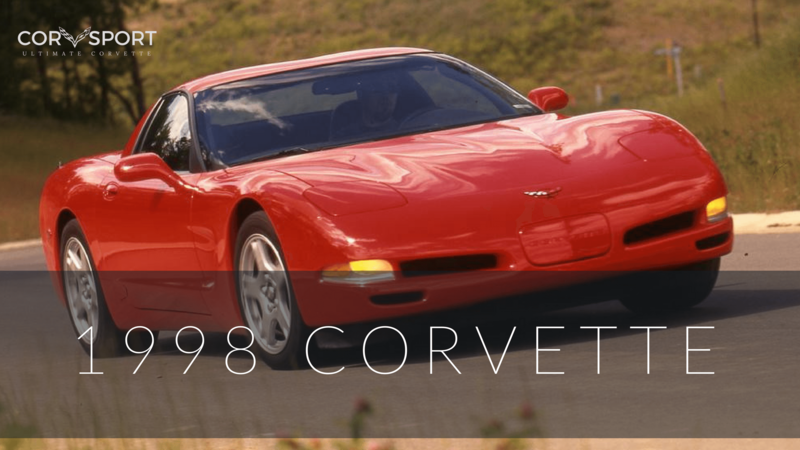 The arrival of the C3 Chevy Corvette occurred far sooner than many enthusiasts would have predicted. 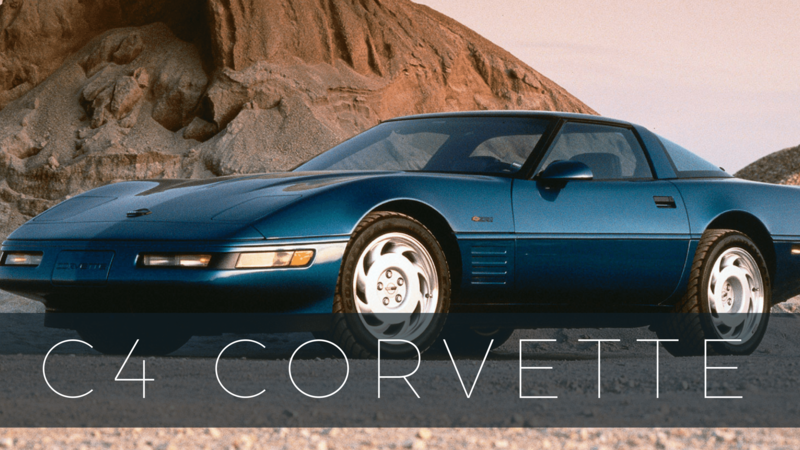 The C1 Corvette had been produced over a period of ten years, albeit with significant design and mechanical improvements along the way. 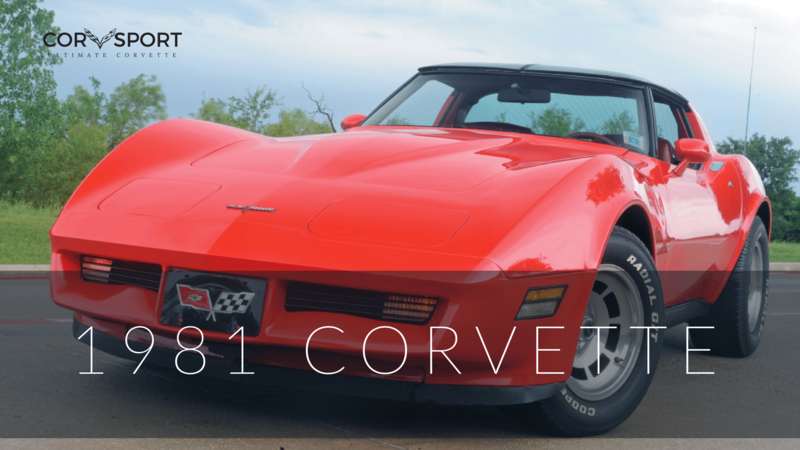 After many years of rumors that an “all new Corvette” had been under development, legions of Corvette fans were eager to see something completely new roll out of Bowling Green’s Corvette assembly plant. 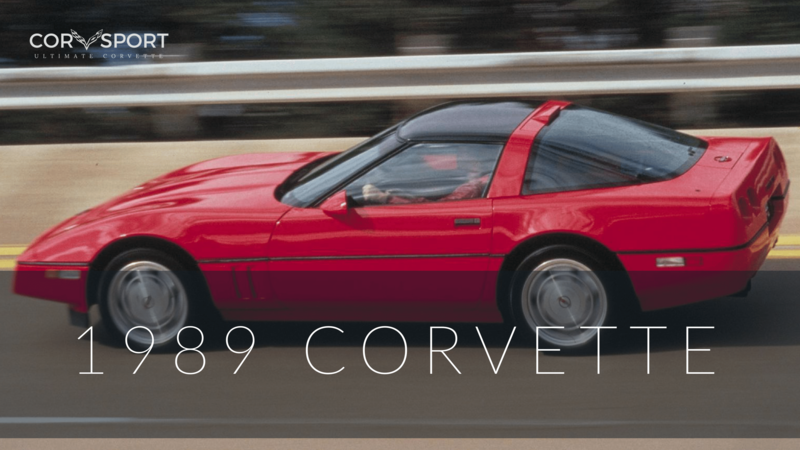 In 1984, the faithful would get their wish. 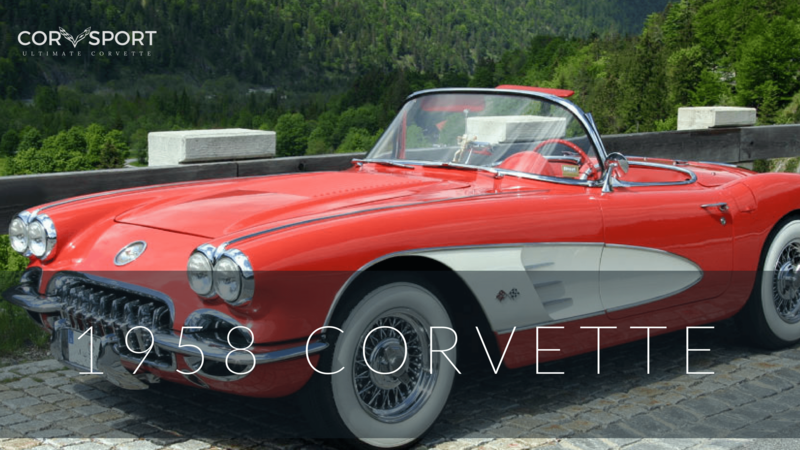 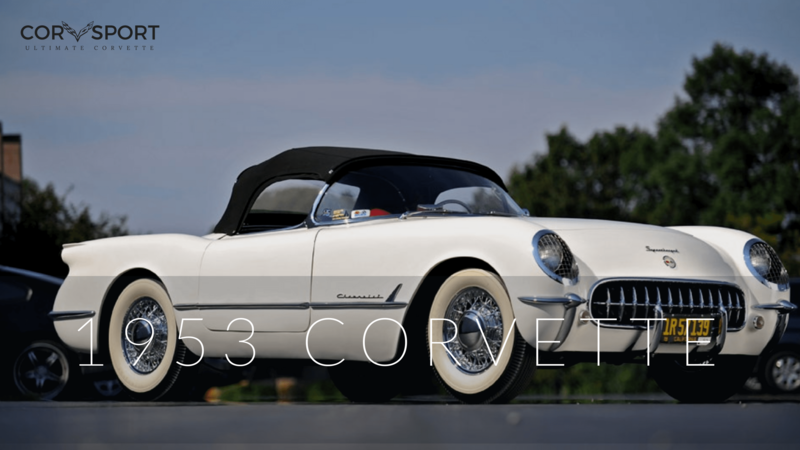 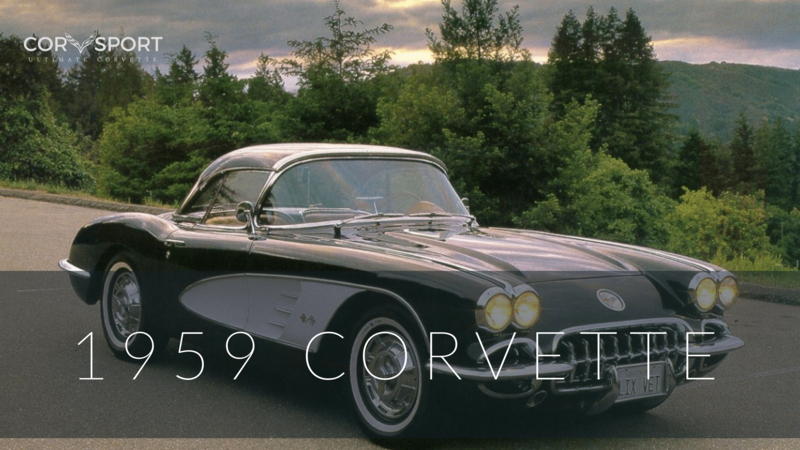 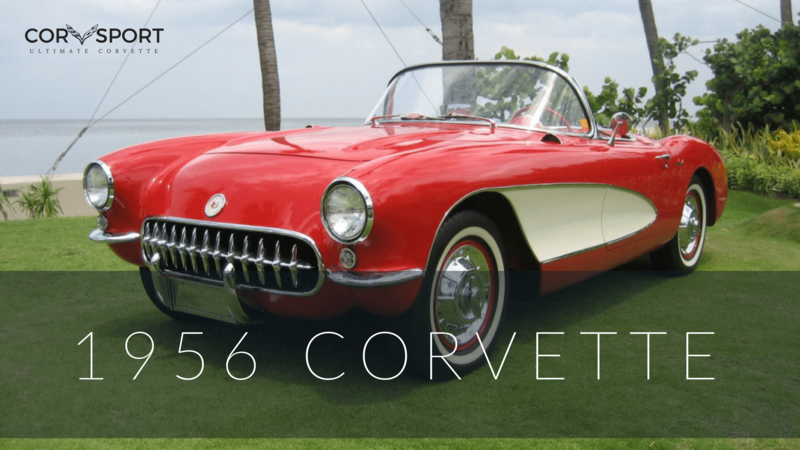 After the incredible success of the prototype at the 1953 Motorama in New York City, Corvette went from being the fantastic concept car designed by Harley J. Earl to an, (as yet unrealized), production car that was already commanding great deals of attention…. 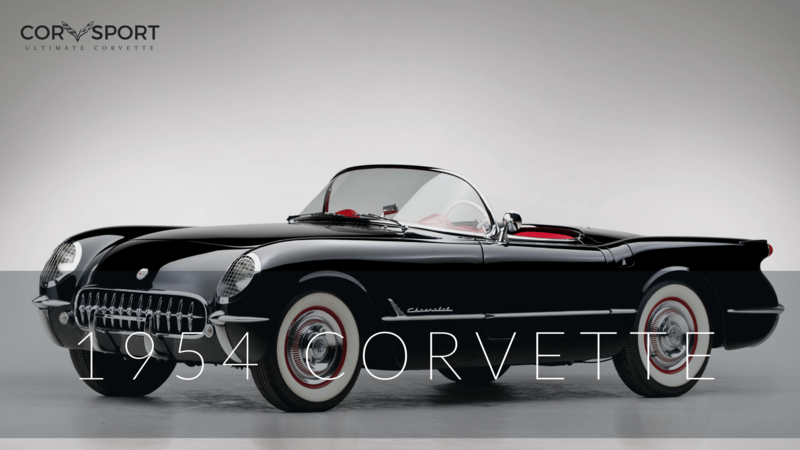 The 1954 Corvette began production in December, 1953. 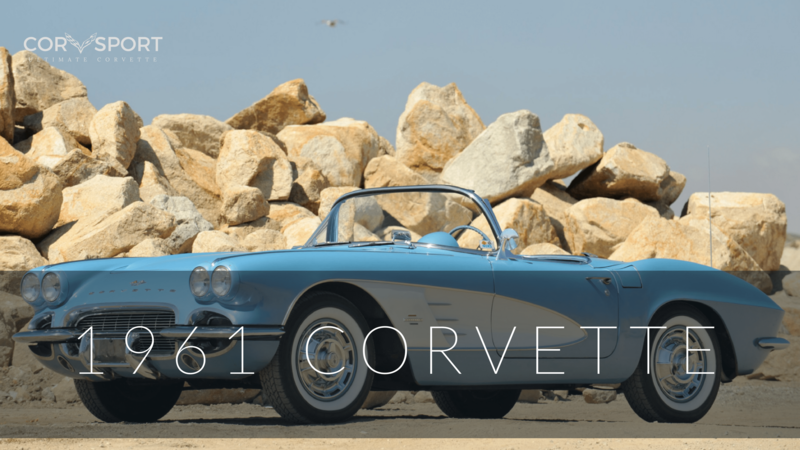 Although the first fourteen or fifteen ‘54 Corvettes were built in Flint, Michigan (like all of the 1953 Corvettes) GM shifted Corvette’s production to a newly renovated assembly plant in St Louis, Missouri…. 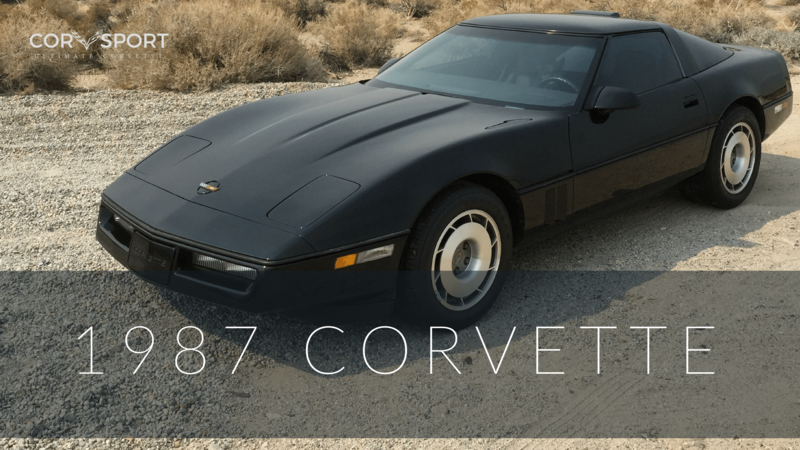 The early eighties was a period of technological firsts. 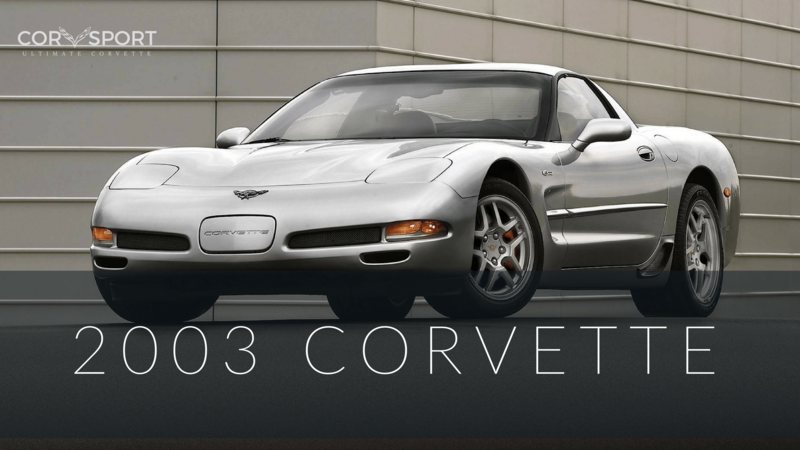 Apple Computers introduced the Macintosh computer. 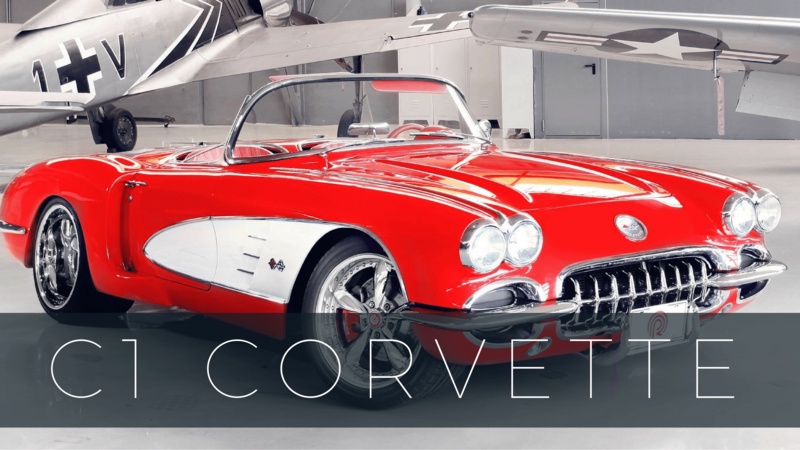 NASA introduced Columbia, the first of a fleet of reusable launch vehicles which would come to be known as the “Space Shuttle”. 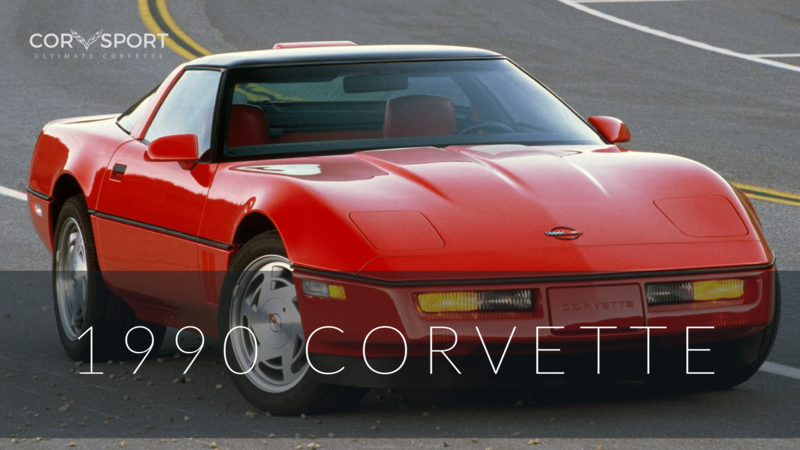 The first laptop computer is marketed by the Tandy Corporation. 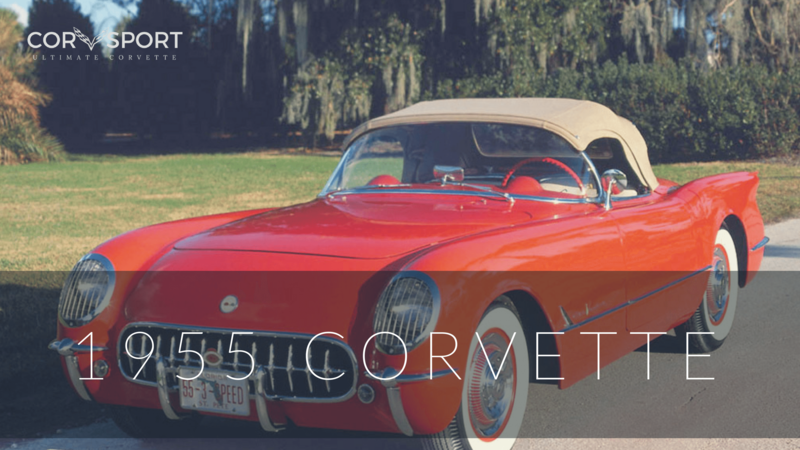 In short, Americans were moving into a world that was growing increasingly interlaced with technology…. 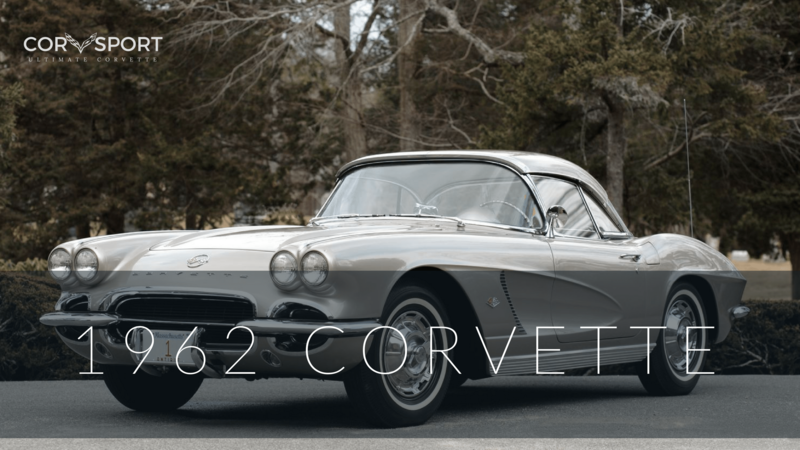 Despite the economic prosperity of the fifties and the early sixties, there had been a great many who believed that the sustainability of such financial growth was impossible, and that more challenging financial times lay ahead within the United States, and even globally.The arrival of the 1968 Corvette occurred at a time when the world, much like the Corvette itself, was struggling to find an identity of its own amidst political, social and financial turbulence. 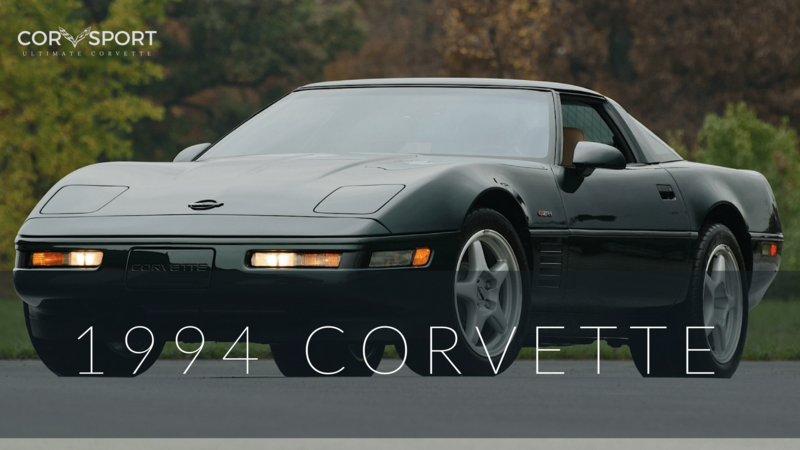 Even with eleven years already behind it, the C4 Corvette still managed to receive the accolades of enthusiasts and critics alike. 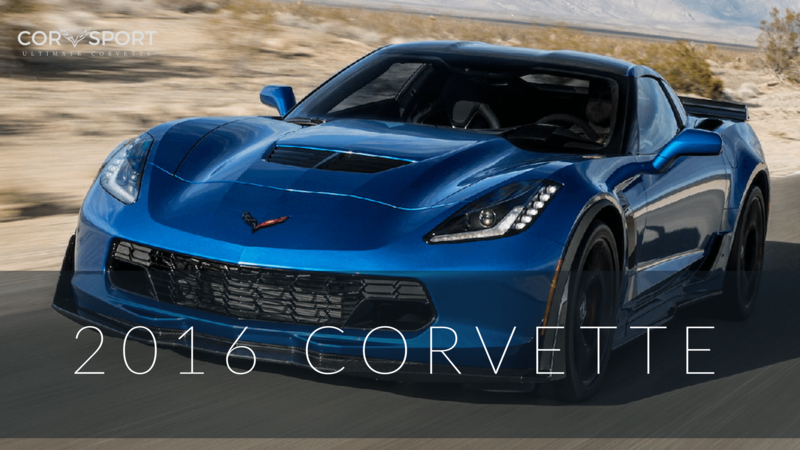 It received praise for its jaw dropping acceleration and equally for its intense road grip and superior handling. 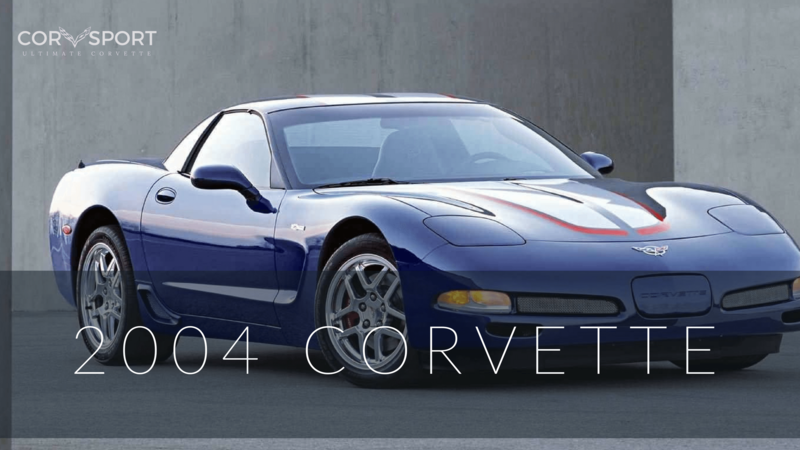 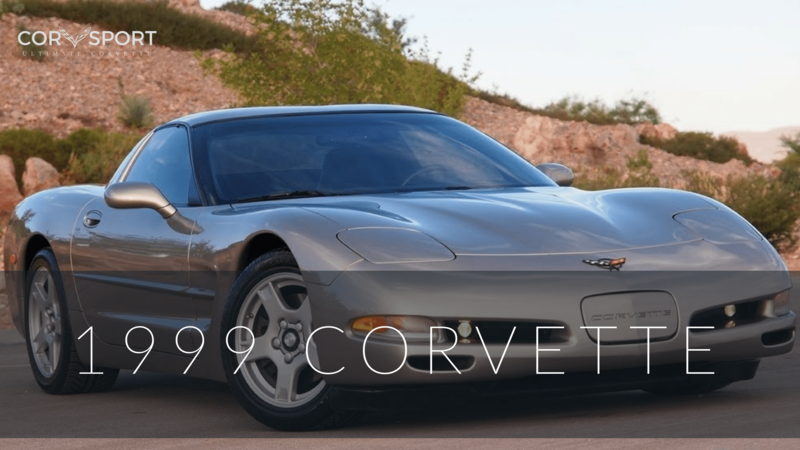 However, with the announcement that an all-new, fifth generation Corvette was under development and on track for the 1997 model year, there were few who were surprised by Chevrolet’s decision…. 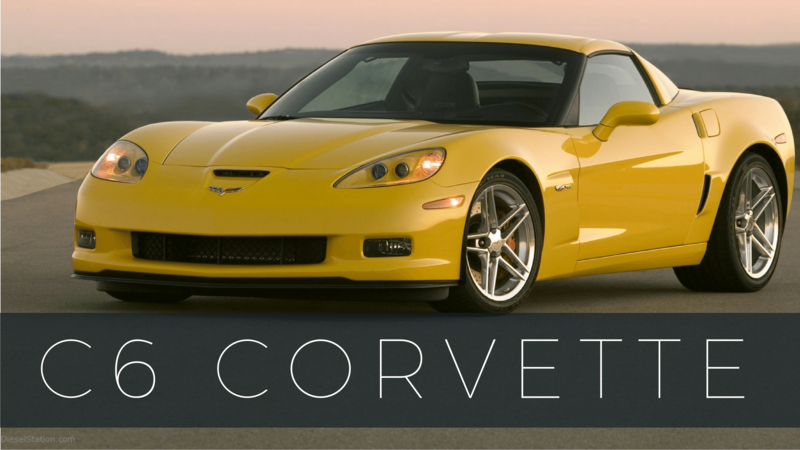 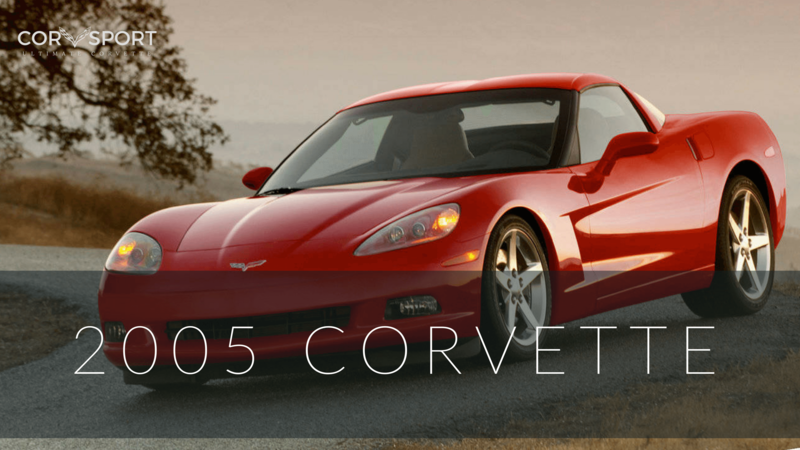 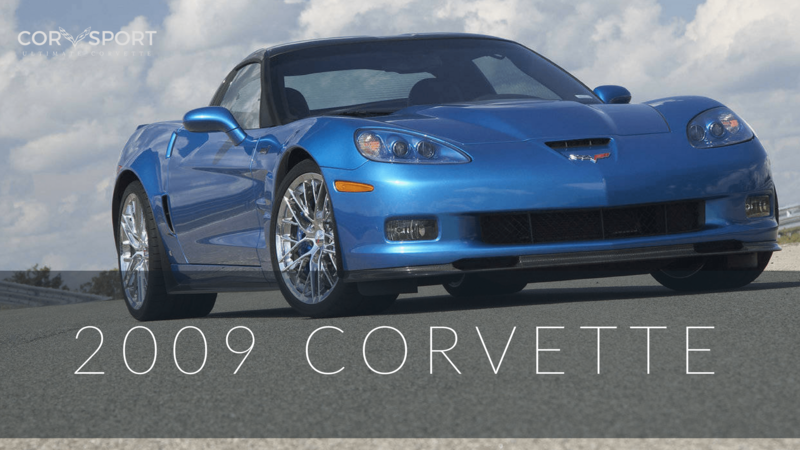 The arrival of the 2003 Chevrolet Corvette represented the culmination of fifty years of evolution for General Motors flagship automobile. 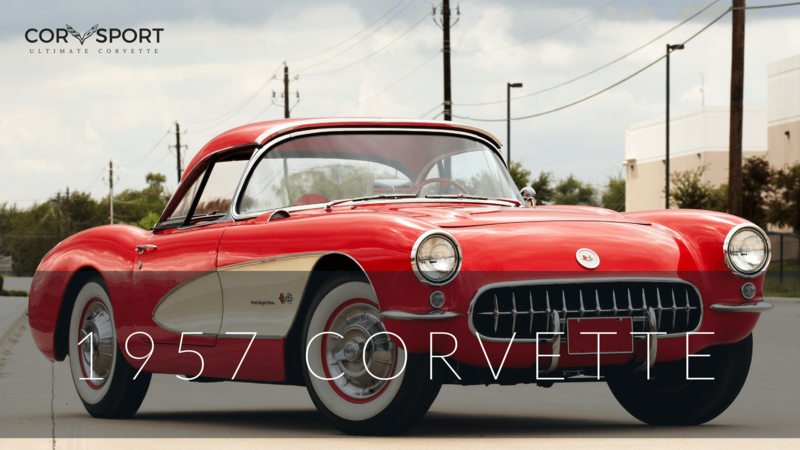 It had been during the spring of 1953 that the first Corvette had been unveiled at GM’s “Motorama”. 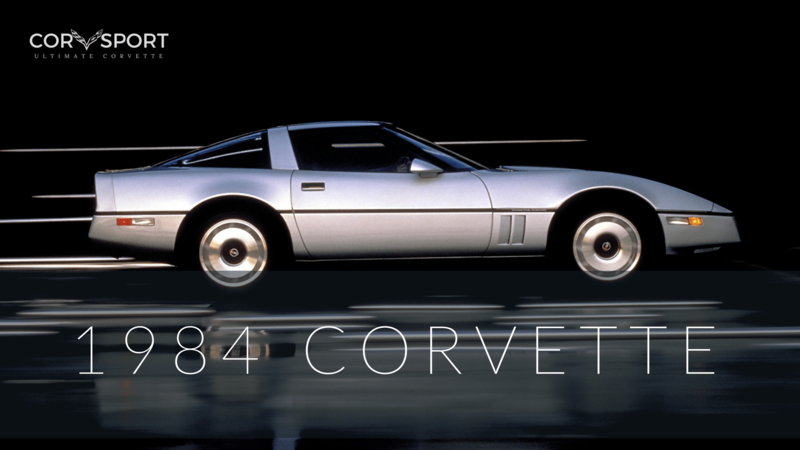 Since that time, it had transformed into an entirely new vision of Corvette with each evolution…. 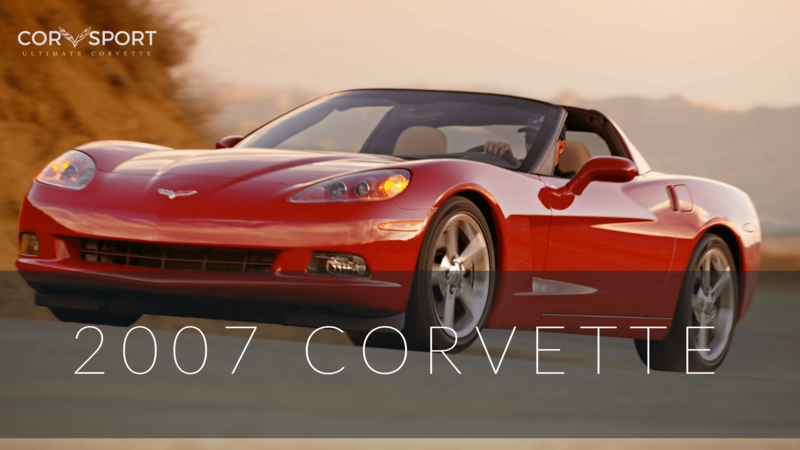 The 2005 Corvette was warmly welcomed and immediately embraced by both fans and critics alike when the new coupe finally made its appearance in January, 2004 at the Detroit Auto Show. 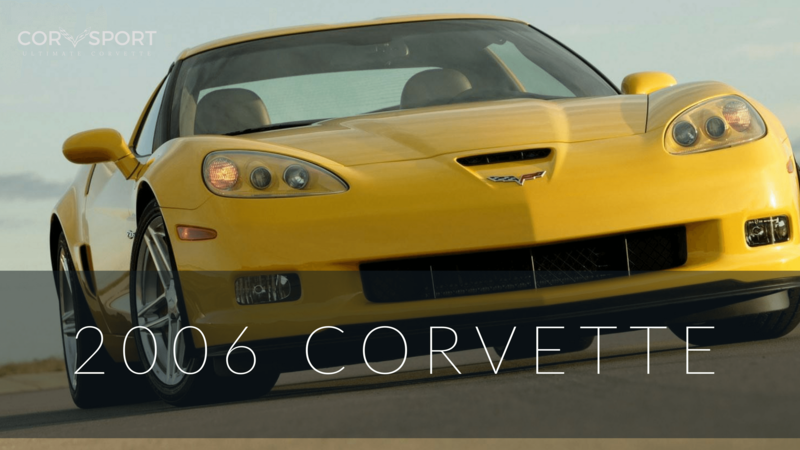 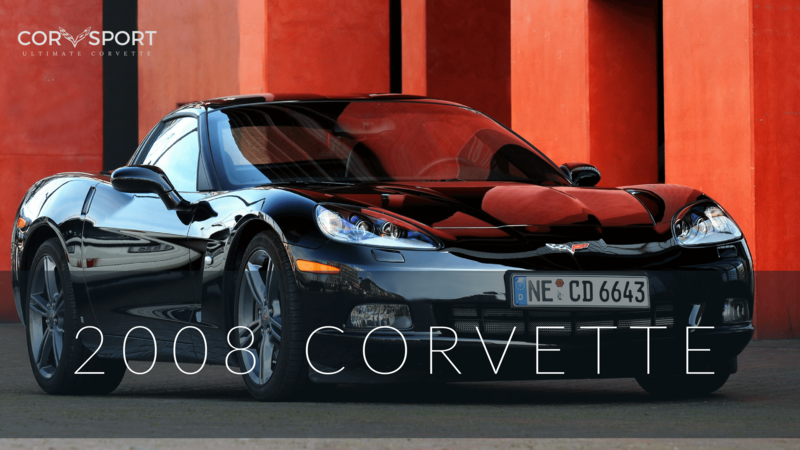 There were some that felt the arrival of the sixth-generation Corvette should have been slated for a 2003 unveiling – mainly to coincide with the Corvette’s 50th Anniversary.